Tell us about your Weekend Journals series? 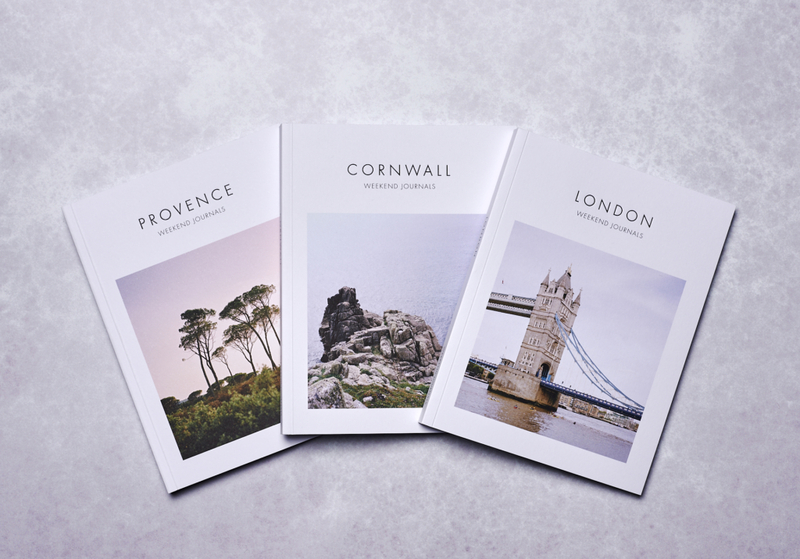 The aim of our inspirational guidebooks is to encourage people to travel and explore destinations in a more considered way. The destinations we have showcased have all been important to the three of us. Simon’s family are from Cornwall, while mine and Gabriel’s maternal grandmother is from Provence. London was a natural third choice for another of our inspirational guidebooks, as we have all grown up and lived in the city. For me, food dictates where I travel and what I do while I’m there. So, it seemed natural to make this a central aspect of the books that Weekend Journals create. How did these inspirational guidebooks come about? I started my blog, Thoroughly Modern Milly, almost ten years ago. Though I love the digital world, I felt the need to create something tangible after many years of documenting my life online. My husband, Simon, and I were lucky enough to spend five months travelling as an extended honeymoon in 2015. So, when we returned, we felt it was the right time to start a travel-inspired company together. It didn’t take us long to decide on design-focused, inspirational guidebooks. Simon could use his skills to design the book and I would write it. We then brought in my photographer brother, Gabriel, to put beautiful imagery to my text. What’s the best thing you’ve eaten in the last year? My travel is based, almost solely, on restaurants I want to try. In 2018, I travelled to Mexico City to try the food at Pujol, and then to Lima in Peru for a culinary experience at Central restaurant. Although these experiences enriched and excited me, I still believe the best food in the world is found in London. It’s impossible to pick a single dish. However, my happiest food memories from 2018 include the homemade pasta from Lina Stores, a roast chicken Sunday lunch from Hélène Darroze at the Connaught… and always, my dad’s home-cooked recipes. Your journals cover London, Cornwall and Provence – what is it about the cuisine there that’s so appealing? 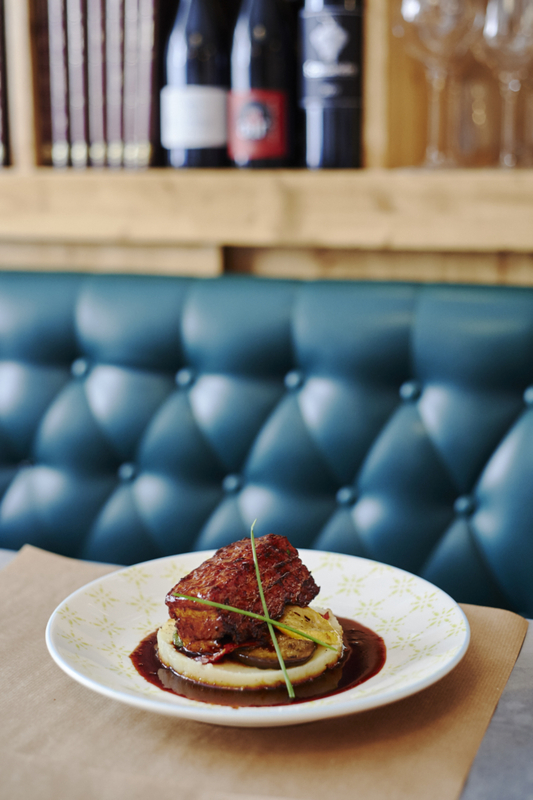 London has everything, haute cuisine to street food, British gastropubs to exemplary international eateries. This made it the perfect choice for one of our inspirational guidebooks. 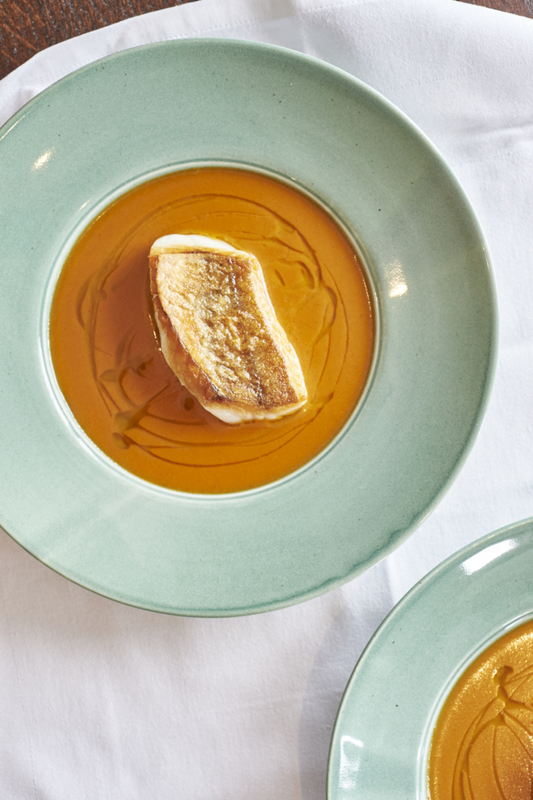 In Cornwall, produce reigns supreme with the freshest seafood, local meat and produce. In Provence, tradition runs through every town and restaurants proudly present authentic family recipes that have often been passed through many generations. Where are your favourite place/s in London for breakfast and why? For meetings in town I love Thomas’s Cafe at the flagship Burberry store on Regents Street. 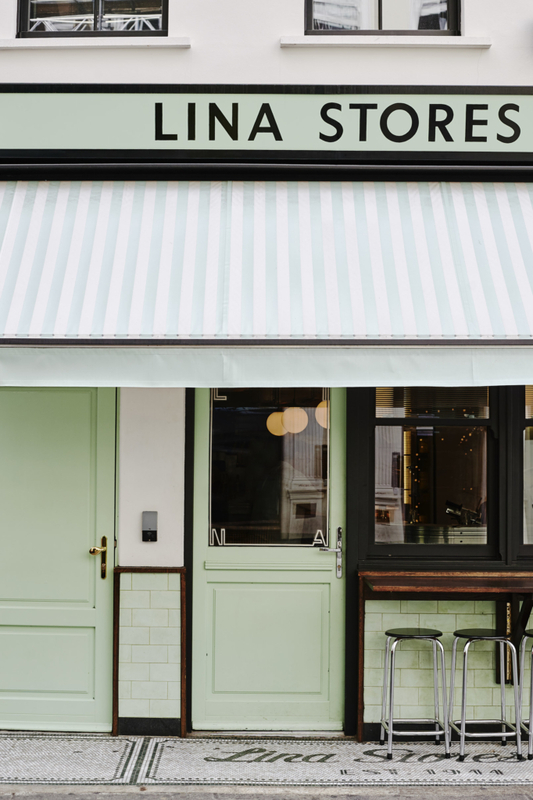 The immaculately designed cafe and restaurant is an oasis away from the chaos of central London. 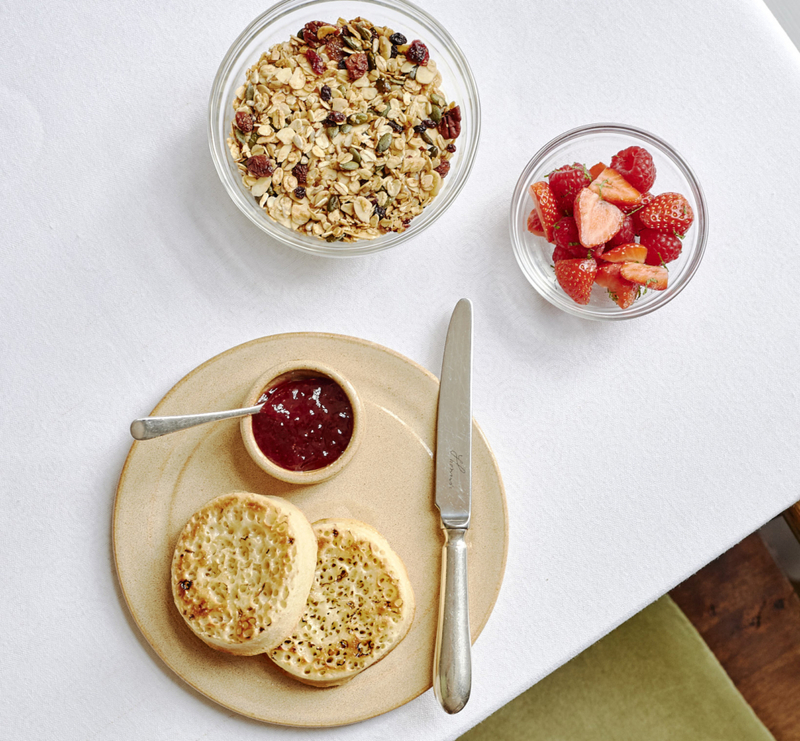 ‘Cooked-on-the-Aga homemade crumpets with jam’ is my go to breakfast treat here. For a weekend treat, you can’t beat Milk in Balham for perfectly poured coffee and decadent pancakes with seasonal toppings. Lunch is my favourite meal of the day. So, I try to utilise my ‘middle meal’ as much as possible… restaurants are quieter, set menus are cheaper and the light is much better for photography. In London, for a comforting delicious meal close to home I visit Llewelyn’s; it is reliably excellent and the manager Alcides makes everyone feel so well looked after. Core in Notting Hill is wonderful for a special meal out. Chef Clare Smyth (who we interviewed in our London guidebook) never ceases to amaze me with her imaginatively presented, flavourful plates of food. My favourite dish is the Lemonade parfait dessert. I also love the reasonably priced lunch menu at Roganic; each dish is carefully considered with often unusual, but brilliant, flavour combinations. As a freelance writer and photographer, my office space changes on a daily basis! Needless to say I’ve visited most of the best coffee shops in London. Cosy, independent businesses – such as Story Coffee in Clapham and Coleman Coffee Roasters in Waterloo – usually have the most charm. In terms of tea, I prefer to drink it at home, but I pick up my supplies from Postcard Teas, a specialist loose-leaf tea shop off Bond Street. The shop is run by a husband and wife team, who carefully source sustainable teas from all over the world. I can’t think of anything better than getting a group of friends together and sharing a selection of small plates at Kricket or Duddells. The food at both of these restaurants is addictively tasty and the atmosphere is always good fun. When I have the time to travel up to East London, a trip to P. Franco never disappoints. 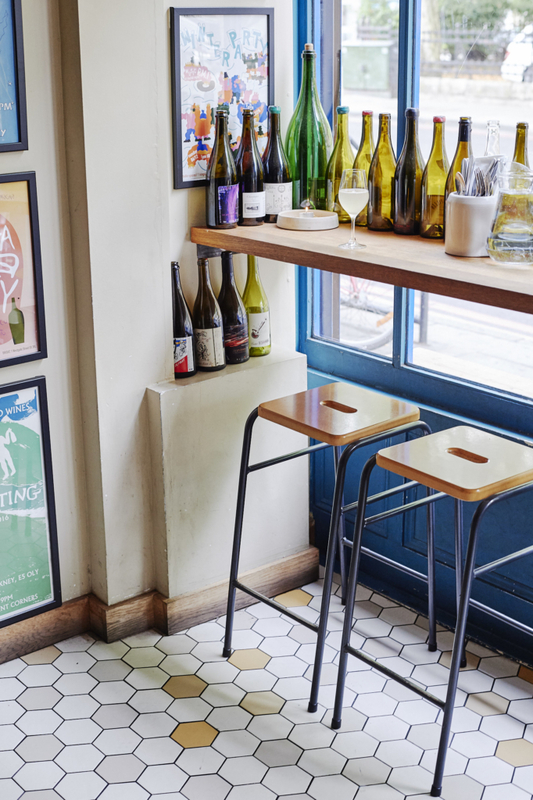 This tiny wine shop in Clapton has a range of unusual and delicious wines alongside brilliant bold food by Chef Anna Tobias. Tell us about some of Cornwall’s hidden eating and drinking gems? Where do I begin?! Cornwall is so lucky to have some of the best sea and land produce in the country. Consequently, more chefs are moving down to the Southwest to open eateries here. To name just a few favourites: Beachside food and cocktails at Surfside, hearty vegetarian cuisine at Potager and Italian delights at Appleton’s Bar and Restaurant. My favourite meals in Provence are around my grandmother’s dining table at home. In the South of France we spend all day thinking about and eating food, from early morning market visits to preparing and eating meals at home. It is the cafes and restaurants that bring this family attitude and fresh produce into the kitchens that win over my heart. Les Vieilles Canailles is a brilliant eatery in the centre of Aix-en-Provence, La Chassagnette is a verdant countryside eatery with food that showcases the produce grown on site, and for the best ice-cream head to Scaramouche. Do you have plans for more inspirational guidebooks? It has been wonderful for us to see people all over the world embrace our current inspirational guidebooks collection. We plan to continue showcasing weekend destinations we love, with the next (not-yet-announced) edition coming out later this year. Which chef/s do you admire most and why? We’ve been lucky to interview some inspiring chefs for our Weekend Journals books. 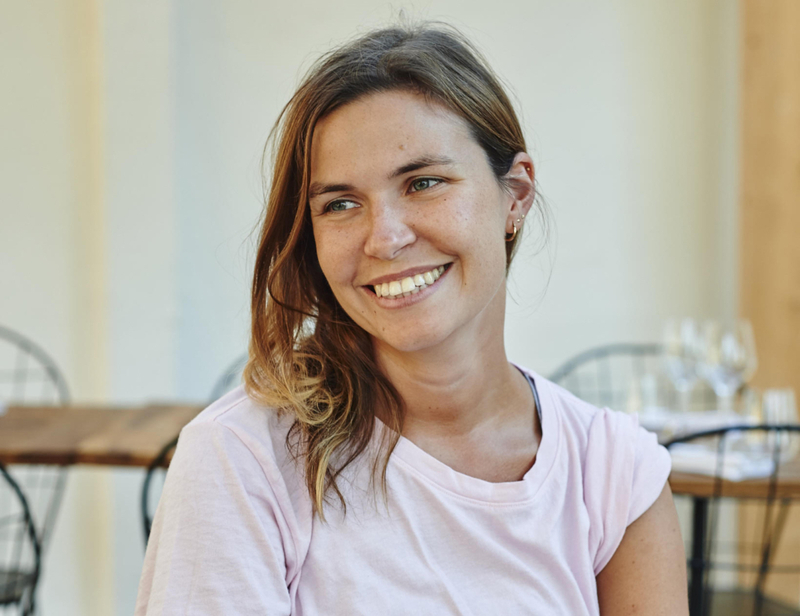 Nathan Outlaw, Mauro Colagreco and Clare Smyth are all chefs I have admired from afar, so it was exciting to include them in our books and hear their thoughts behind the award-winning food they produce. What do you think will be the key food trends in 2019? Sustainability and waste are trends that, quite rightly, continue to shape the restaurant industry around the world. As London’s food scene continues to flourish lesser-known cuisines are being represented, I loved trying the West African food at Iyoki recently. Non-alcoholic drinks seem to be a big trend at the moment. Seedlip are creating refined botanicals and there are lots of other companies producing clever and tasty alternatives to alcohol. I also love visiting restaurants that offer a collaborative food and drink experience, a concept Ryan Chetiyawardana has mastered at Cub, and I think this will continue to grow in 2019. Hands up who loves gin as much as we do? If this is you, don’t forget to head on over to our exclusive interview with Gin Journey boss Leon – just click here: 15 mins with…Leon Dalloway of Gin Journey!